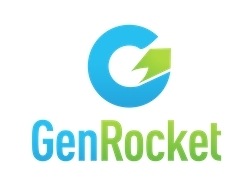 Ojai, CA, January 09, 2019 --(PR.com)-- GenRocket, the leading provider of Test Data Generation (TDG) solutions for producing real-time synthetic test data to support continuous testing environments, today announced it has joined the Sauce Labs Technology Alliance Program (TAP). Designed to enable innovative technology partners to leverage the world’s largest continuous testing cloud for web and mobile applications, the Sauce Labs TAP helps GenRocket extend continuous testing capabilities deeper into its customers’ software delivery pipelines. By joining the Sauce Labs TAP and integrating with the company’s Continuous Testing Cloud, GenRocket can further help enterprise customers transform their software development processes and facilitate continuous testing for Continuous Integration/Continuous Delivery (CI/CD) pipelines. Market research has identified test data provisioning as a bottleneck for continuous testing, introducing days or weeks into the testing process and consuming anywhere from 30% to 60% of the software tester’s time. The GenRocket TDG platform eliminates the need to manually produce test data or copy and mask production data. Because test data is generated on-demand, there no need to manage multiple test datasets with costly and complicated Test Data Management (TDM) systems. With GenRocket, high quality test data can be generated on-demand whenever it’s needed and accelerates the test data provisioning process by 1000% or more. Additionally, GenRocket’s use of synthetic test data completely eliminates the risk of exposing sensitive customer information during the testing process and ensures compliance with all global data privacy regulations. The GenRocket TDG platform seamlessly integrates with the Sauce Labs Continuous Testing Cloud. Together, they enable quality assurance and testing operations that perform at the speed of development in today’s DevOps environment. Now organizations can fully leverage test automation tools and frameworks by moving their entire software test operation to the cloud. Sauce Labs provides the world's largest cloud-based platform for the automated testing of web and mobile applications. Its award-winning service eliminates the time and expense of maintaining an in-house testing infrastructure, freeing development teams of any size to innovate and release better software, faster. Sauce Labs is a privately held company funded by Toba Capital, Salesforce Ventures, Centerview Capital Technology, IVP and Adams Street Partners. For more information, please visit https://saucelabs.com.